New York, 19 October 2011 - Representatives of MERCOSUR, the Caribbean Community (CARICOM) and of the Government of the Dominican Republic, alongside the Latin America and the Caribbean Movement for Children (MMI LAC) gathered in New York in an event organized with the SRSG on Violence against Children on protection of children from violence. 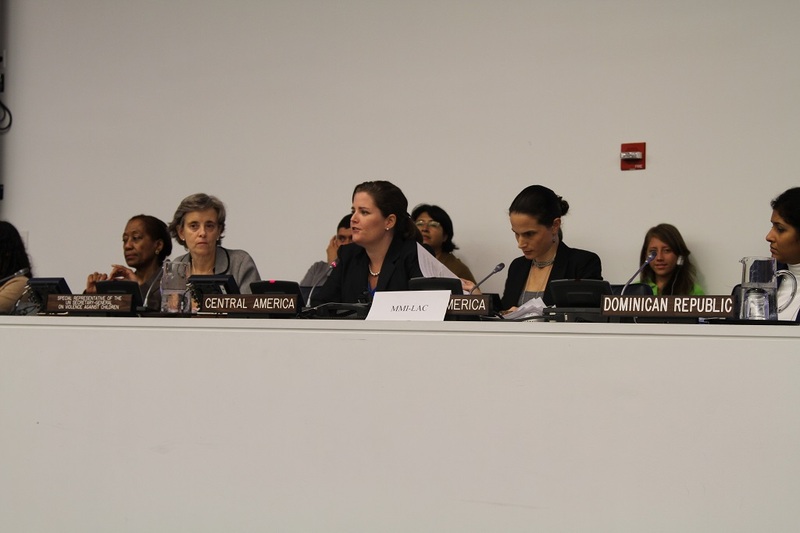 The event was sponsored by the Governments of Brazil, Uruguay, Bahamas and the Dominican Republic and included the participation of three young representatives of the Children's led organizations involved on the process of follow up to the UN Study in the Latin America region. At the event, SRSG Santos Pais highlighted critical developments, as well as the important lessons learnt in the process of follow-up to the UN Study on violence against children in the Latin America and the Caribbean region, including the adoption of strong political commitments and regional roadmaps to advance implementation of the recommendations to the UN Study on Violence against Children, and a participatory process with civil society organizations and strong partnerships with networks of children and adolescents. In an important declaration adopted on this occasion, participating governments and regional institutions reaffirmed their strong determination to accelerate efforts for the prevention and elimination of violence against children in all its forms and to promote the inclusion of these critical concerns in the global development agenda beyond 2015. They also committed to support the creation, under the auspices of the Special Representative, of a Latin America and Caribbean Task Force to meet on an annual basis and promote initiatives to accelerate progress in children’s protection from violence. During the meeting, participating governments and organizations launched two regional studies on progress made in the follow to the UN Study on Violence against Children in South America and in Central America, as well as a child friendly version of the South America roadmap. They reiterated their commitment to support the development of well-coordinated and well-resourced national agendas on violence against children, the adoption and enforcement of national legislation to prohibit all forms of violence against children in all settings and protect children from incidents of violence, as well as the consolidation of national data systems and research on violence against children to inform advocacy, policy making and resource mobilization for the safeguard of children’s right to freedom from violence and provision of the necessary support to child victims.